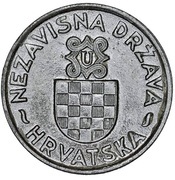 Along the upper edge is written NEZAVISNA DRŽAVA and along the bottom edge is written HRVATSKA. 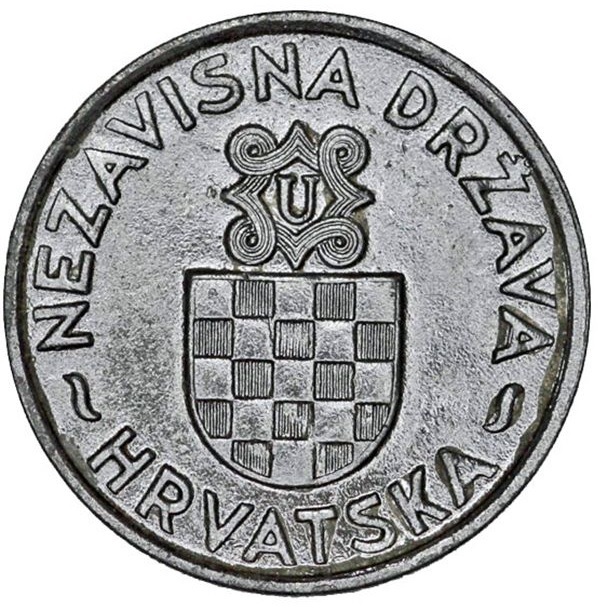 In the central part is the old Croatian coat of arms. Along the edge of the coin is laid the old Christian braided ornamentation. 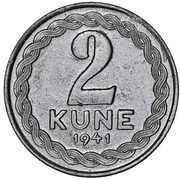 In the central part is written the value of the coin (2). 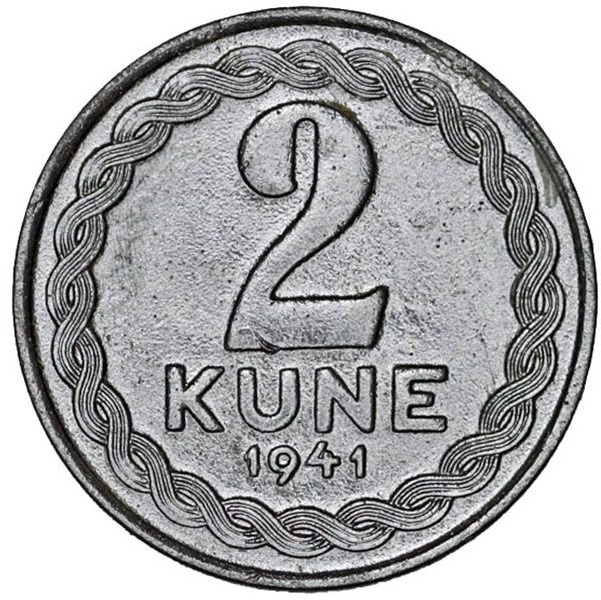 Under the value is written KUNA and the year of minting (1941).